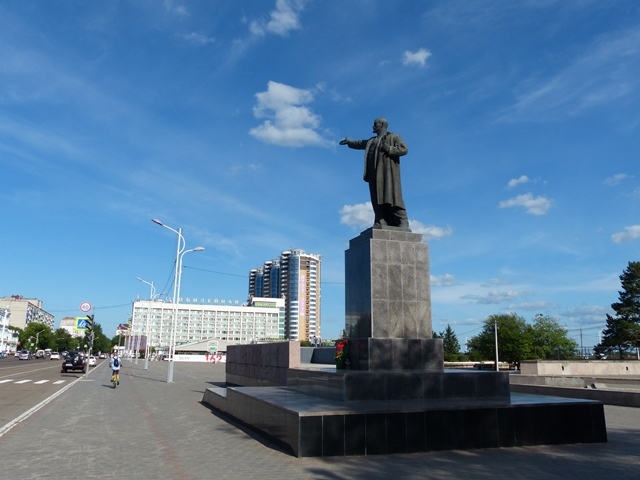 The Amurskaya oblast lacks tourist attractions. 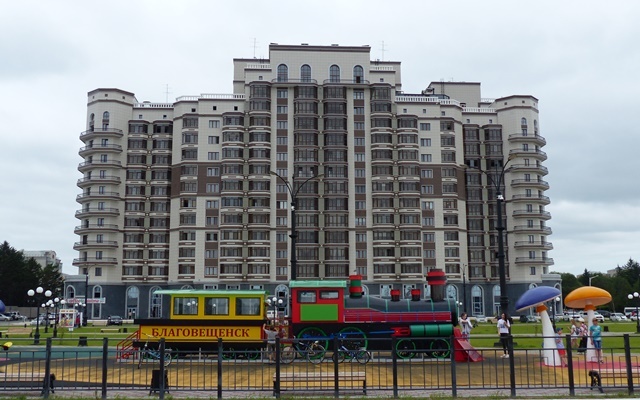 Perhaps, the main one used to be the bumpy Amur highway itself. 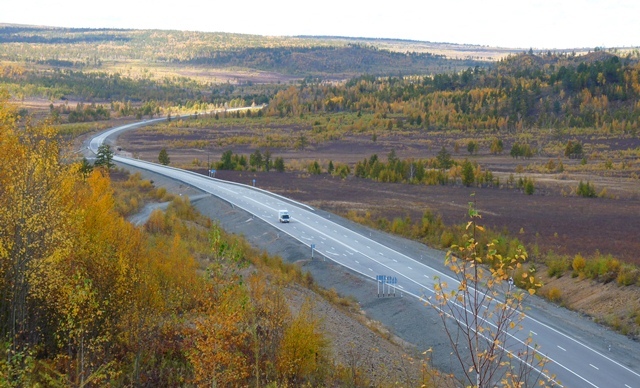 The president Putin vowed to pave the Amur highway and kept his word. 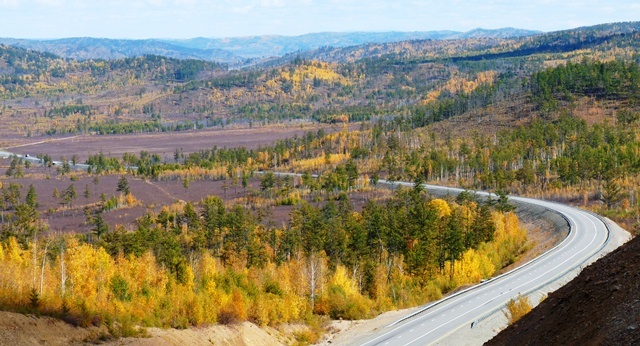 In 2010 the road acquired a hard surface all the way from Chita to Khabarovsk and a shade of adventure associated with traveling by this road was gone. 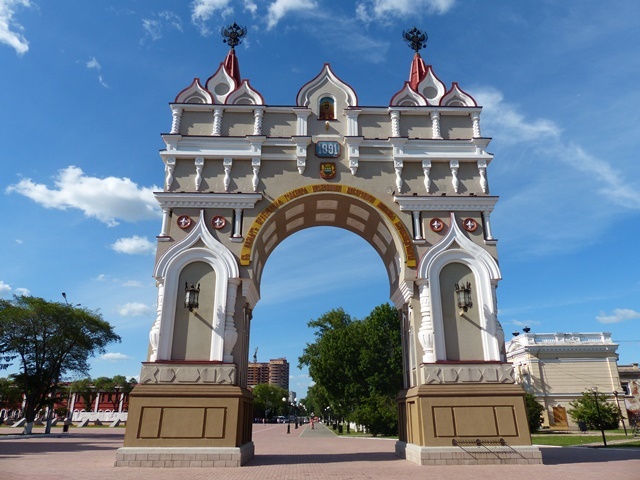 Close to the small town of Novobureisky stands a peculiar monument. 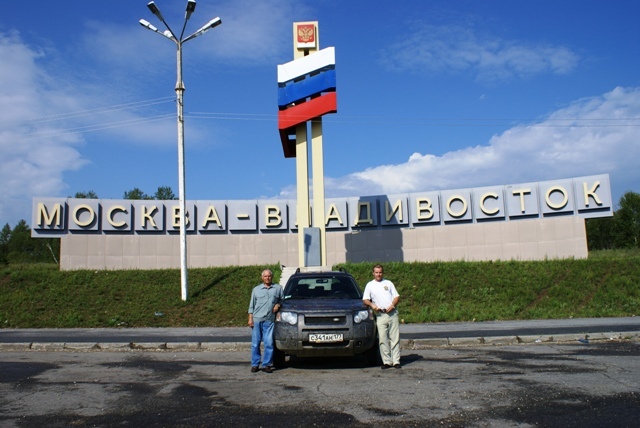 In February 2004 the then Russian president Vladimir Putin staged a ribbon-cutting ceremony in this place and declared the road from Moscow to Vladivostok trafficable and open all the way through. 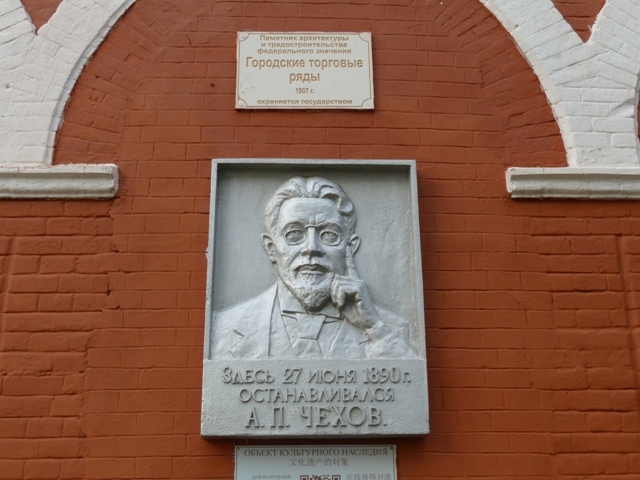 To perpetuate that event local powers-that-be erected a stela reading MOSCOW-VLADIVOSTOK (in Russian МОСКВА-ВЛАДИВОСТОК) and a small chapel that remains permanently locked. 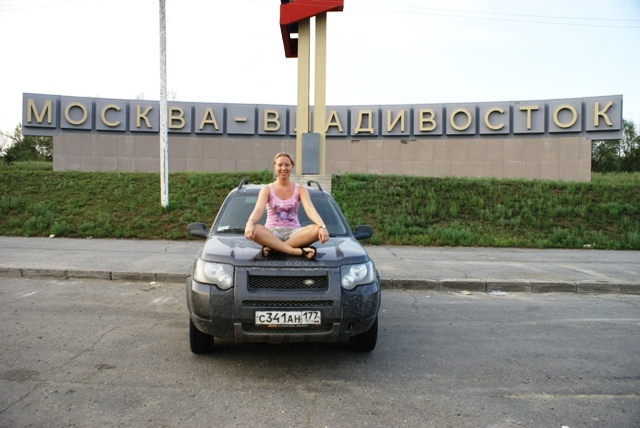 A must-to-stop spot for all car travelers for pictures. 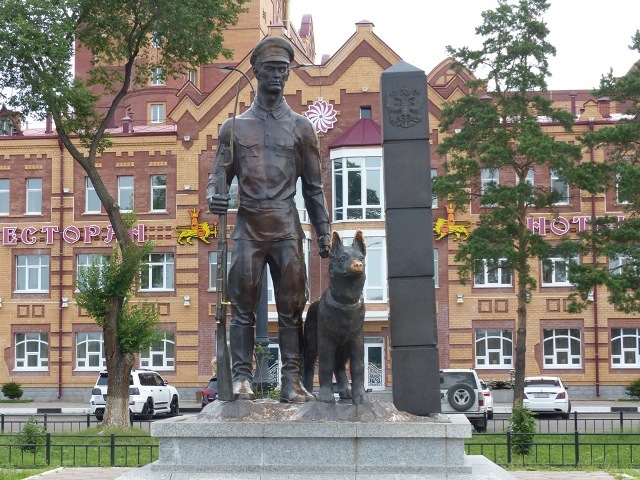 The administrative center of the Amurskaya oblast was founded as a military post in 1644. 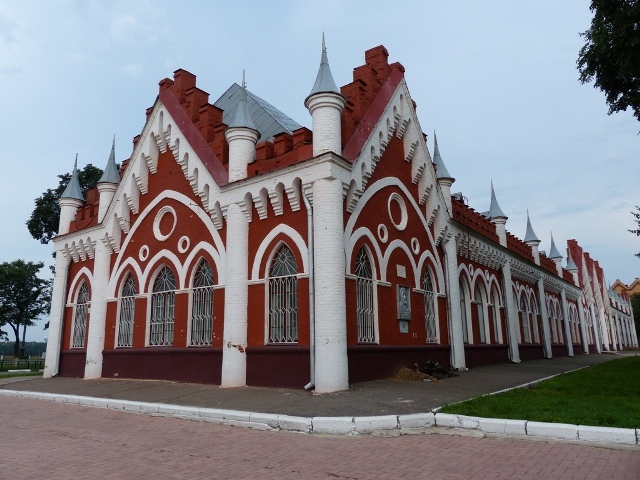 It is located 110 km away from the Trans-Siberian railway on the Amur River across from the Chinese town of Heihe. 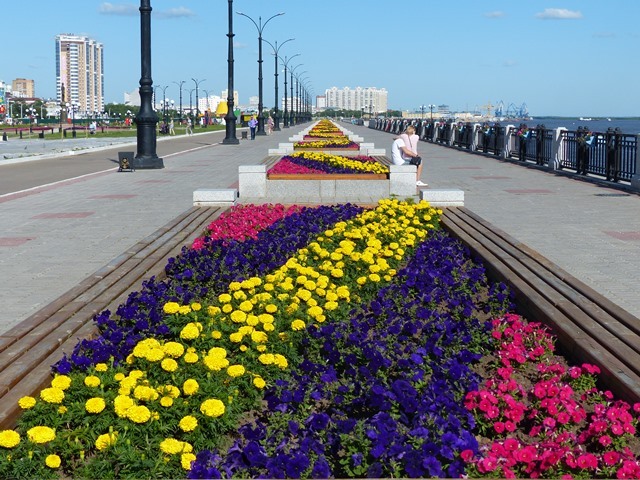 There is a good ferry service between the two cities therefore many tourists coming to Blagoveshchensk make a day trip to China. 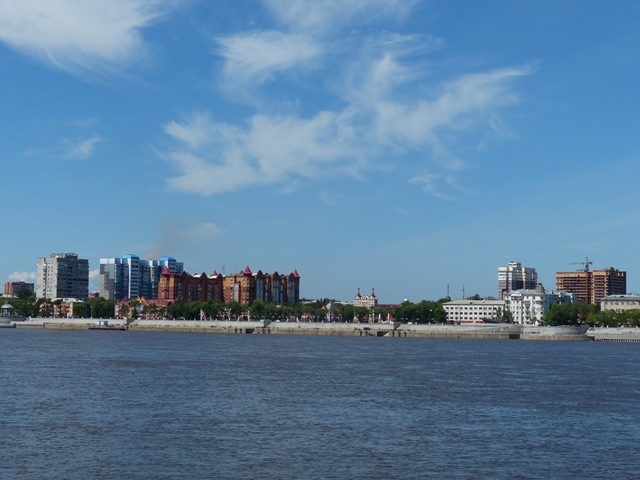 Heihe as seen from Blagoveshchensk. 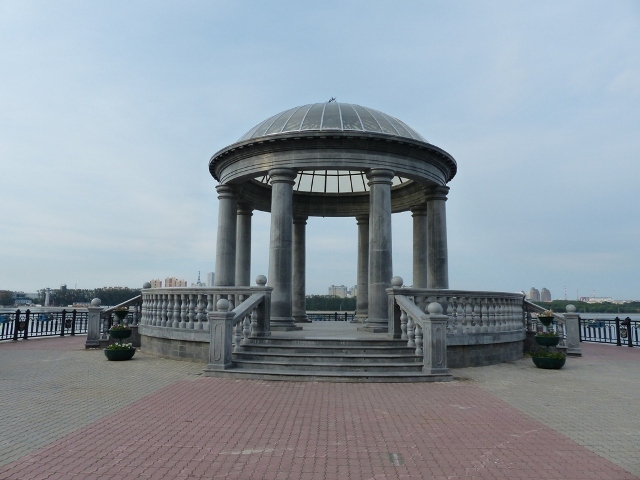 Heihe as seen from Heihe. 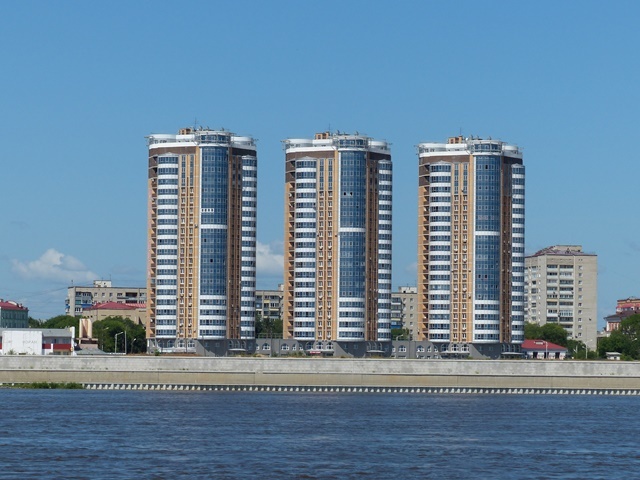 Blagoveshchensk as seen from Heihe. 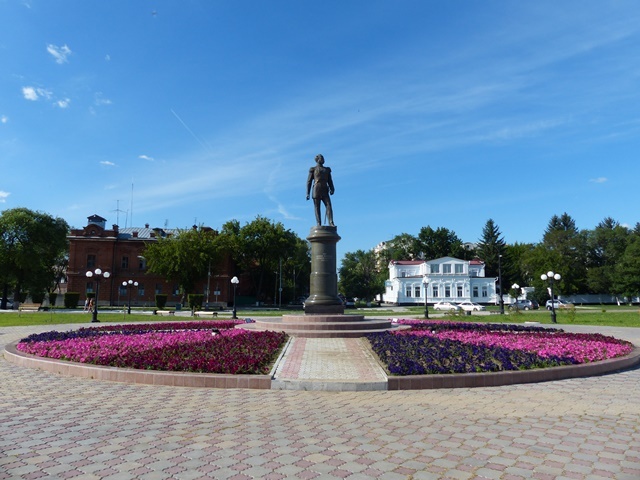 Blagoveshchensk as seen from Blagoveshchensk. 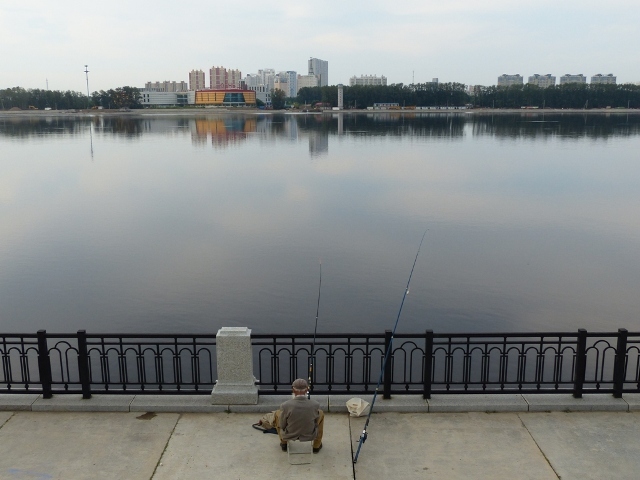 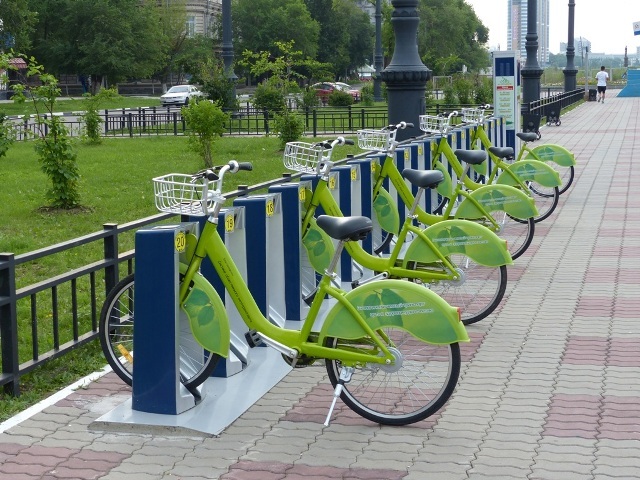 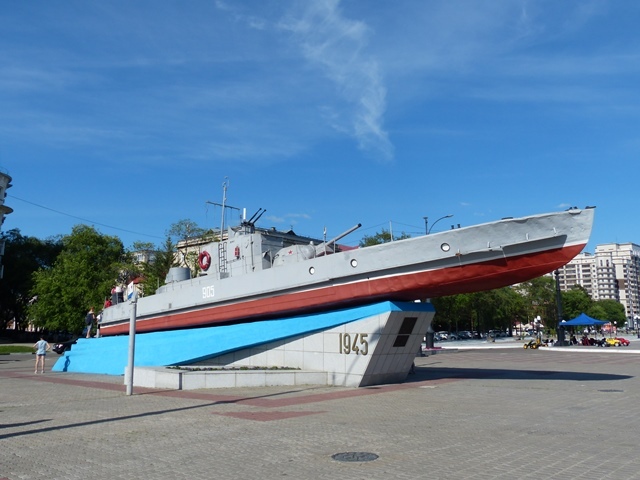 The best pastime in Blagoveshchensk is perhaps to take a stroll along the pleasant riverside promenade. 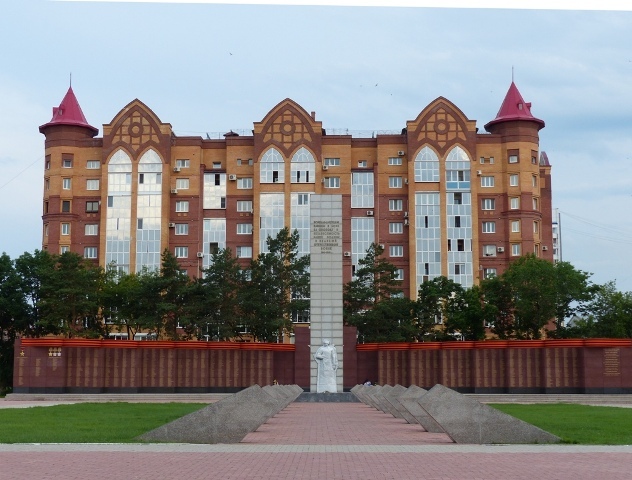 The famous Russian playwright Anton Chekov stayed in this red building during his 1890 trip to Sakhalin. 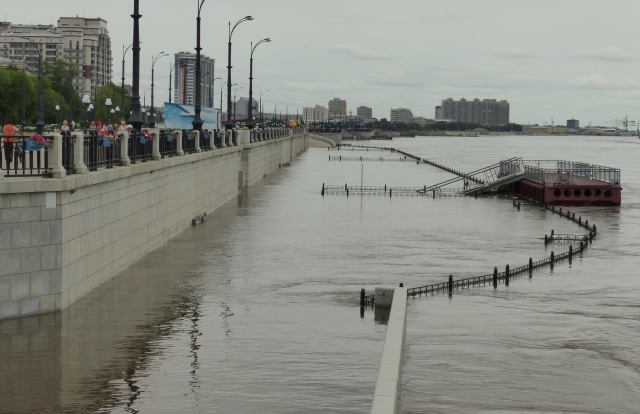 Sometimes the Amur River floods the lower part of the embankment.